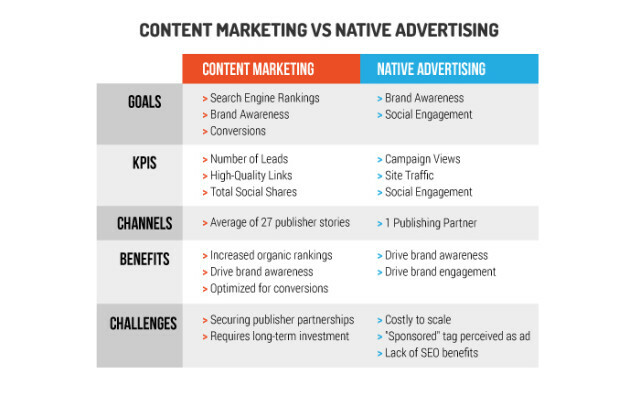 Telling the difference between Content Marketing and Native Advertising may not be easy. Here is a summary of key differences that can help you understand how to choose the approach that is right for your brand. For Content Marketing the goals are throughout the marketing funnel right from generating awareness to increasing conversions. For native advertising the awareness goal is of paramount importance. Content Marketing deals with bringing informative, educational or entertaining content to users in the format that helps brands change perception, create awareness or increasing conversions in a way that content answers the queries of customers. Content Marketing is also seen as a tool for optimizing content for Search Engines to improve your site’s page rank. As a marketing strategy Content Marketing, provides long term sustainable value for clients where KPIs are linked to number of leads, shares and high quality links. Content Marketing targets different audience personas with a story telling approach designed to answer specific queries. Native Advertising follows the natural form and function of the user experience, characterized by special ad format. They follow the editorial guidelines of the publication, to make the brand content seem like an editorial. Designed to look like the editorial content they appear in the users direct reading flow and do not disrupt the user experience. 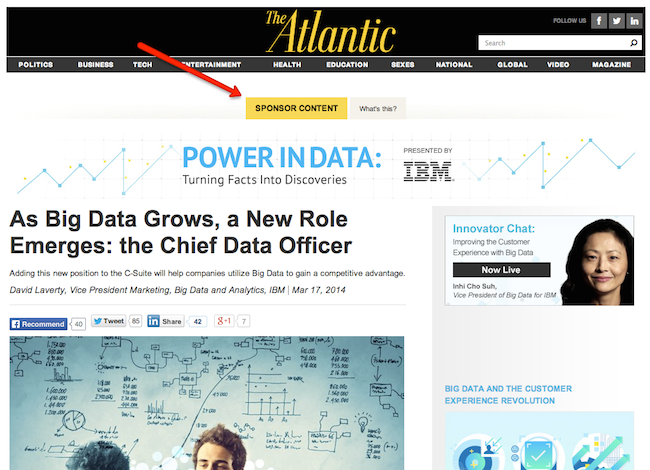 Designed for the native flow the ads are labeled as “sponsored” or “ad”. The ads tend to be more persuasive as users are more open to messaging that follows the form of editorial content. 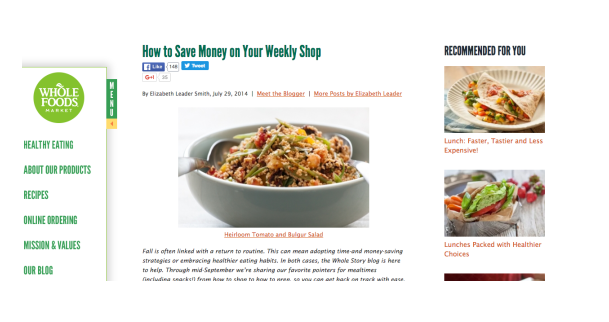 To see examples of Native Advertising, click here. For Content Marketing Innovations, click here.